In 2012 I was sent all over the place to promote A GOOD AMERICAN. I visited many fabulous bookshops and met multitudes of wonderful people. I went to many places that I never would have seen otherwise, and I had an absolute blast from start to finish. Perhaps improbably, my most memorable stop on that book tour was in Tupelo, Mississippi. If I’m being honest, this had nothing to do with books, not really. The reason I loved my visit to Tupelo so much was because I was invited there by Emily Gatlin, who at the time ran the town’s bookshop. Emily and I had been online friends for a while and she had harassed the Penguin PR department until they had agreed that I could stop in Tupelo for an event at her store. The night I arrived in Tupelo Emily picked me up from my hotel and drove me back to her house. I can’t pretend that I remember every detail of the evening that followed, but I do know that delicious ribs (cooked by Emily’s husband, Robert) and some stratospherically alcoholic beverages were consumed. (There was also a delicious dessert that I think involved bananas, but things were getting pretty foggy by then.) The following day, after the event at the store, the three of us took off for Oxford, Mississippi, where, amidst an unholy amount of the most delicious and unhealthy food I have ever eaten, our virtual friendship blossomed into the real thing. 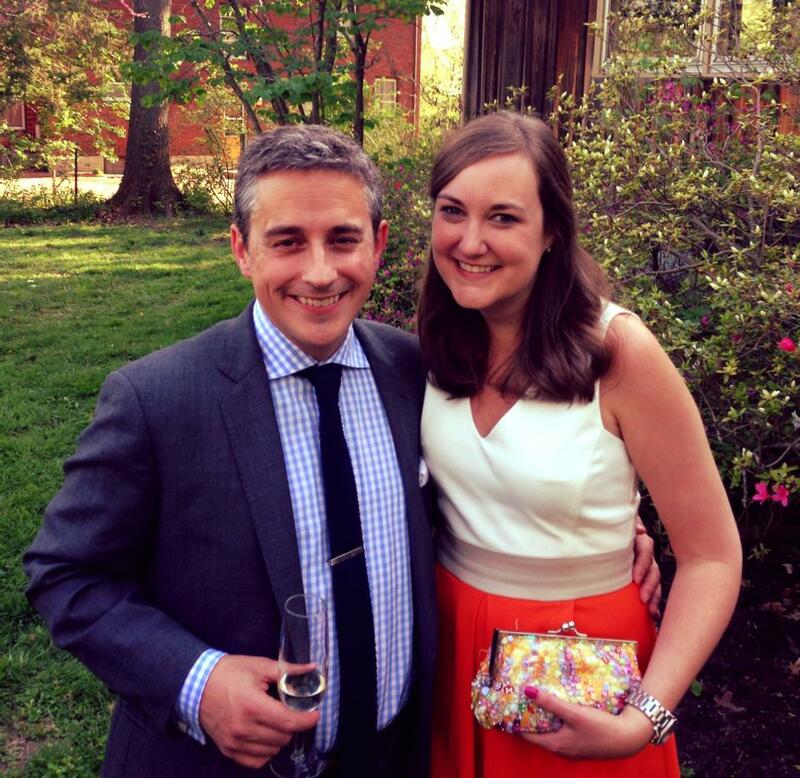 When I got married in May, Emily and Robert drove a thousand miles from Mississippi to mid-Missouri to help us celebrate. What is striking about this photograph is that Emily is smiling, despite the fact that a few days previously a tornado smashed through Tupelo and destroyed many homes, including ones on the street where she and Robert live. Thankfully they escaped unscathed, but many were not so lucky. Many of her neighbors’ homes were completely destroyed. Emily no longer works at the bookshop, but she is still heavily involved in the publishing industry as a contributor to the excellent Book Riot website and as a freelance writer and editor. 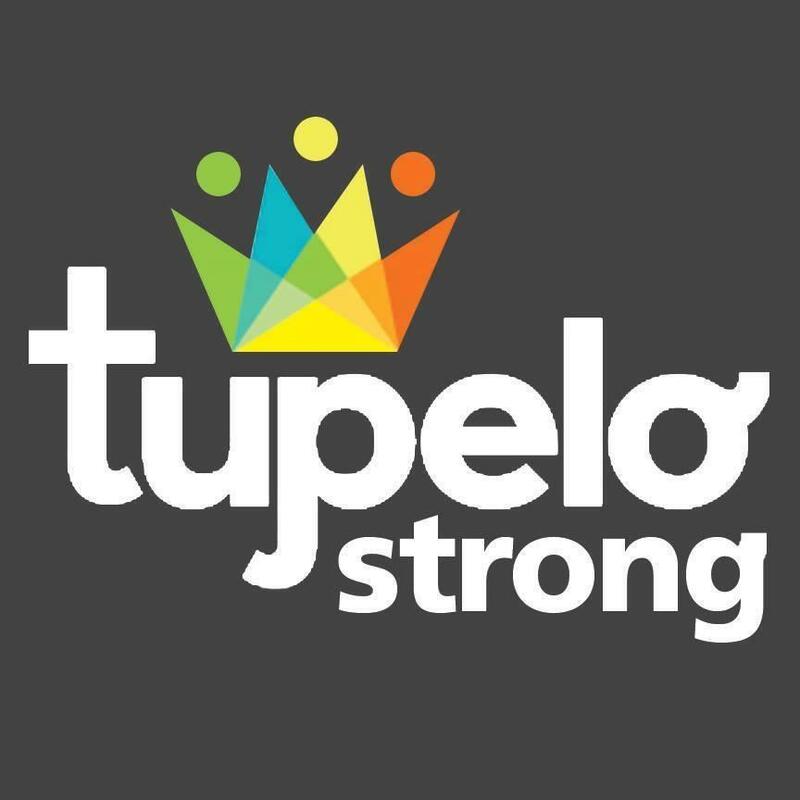 She has used those connections to put together an astonishing fund-raiser for her town, called Books for Tupelo. It’s in essence a mammoth auction of signed first editions which have all been donated specifically for this most worthy and needy of causes. Please, please, go and visit the site and have a look at the amazing goodies on offer. A signed first edition of THE CASUAL VACANCY by J.K. Rowling? No problem. A John Green collectible? Why, of course. Buying a unique present for your favorite book-lover just got a whole lot easier. Please go and bid on whatever takes your fancy and help out this wonderful community that is still trying to get back on to its feet. 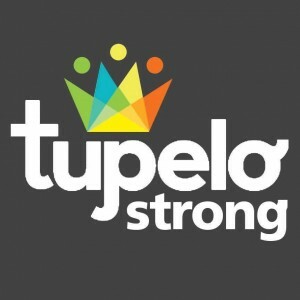 All proceeds go to the CREATE Foundation’s Northeast Mississippi Tornado Relief Fund.